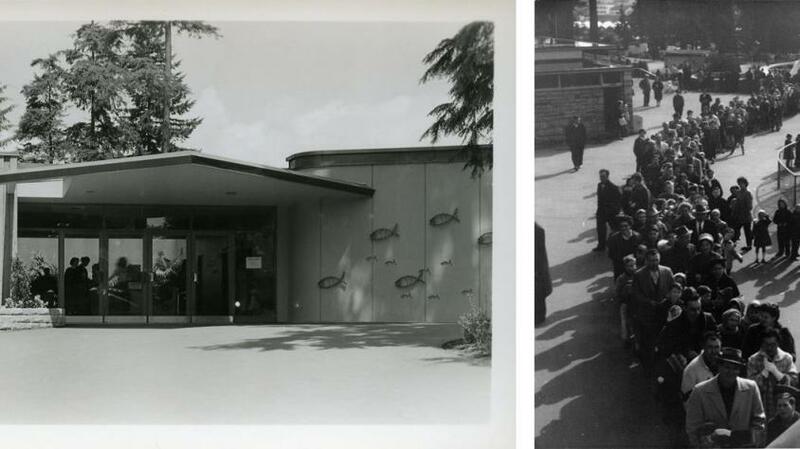 On June 15, 1956, the Vancouver Aquarium Marine Science Centre opened its doors in Stanley Park, welcoming 10,000 visitors in its first weekend alone. The admission price that day? Twenty-five cents. This June, Vancouver Aquarium will celebrate six decades of ocean conservation, vital research, curriculum-based education and public engagement, and share stories of the myriad milestones along the way. Kick off the festivities with the Aquarium&apos;s Celebrate #vanaqua60 photo contest, inviting visitors form the last 60 years to share their photos online for a chance to win a one-year membership to the Aquarium. To enter the contest, upload a photo via Instagram or Twitter and hashtag #vanaqua60, or submit directly on the Aquarium&apos;s website. Photos will be featured in an online gallery on the Aquarium&apos;s Facebook page and the winner will be randomly selected. Contest closes June 13. On June 18 and 19, the Aquarium will host a celebration to remember for the next 60 years. Experience the Aquarium’s rich history through special family programs and onsite displays and stop by the beautiful patio at the Waterfall Café — open to all Stanley Park visitors — for a special Ocean Wise salmon BBQ.